This is such a pretty and timeless interpretation of the photo! I absolutely love the perfection of your music background behind the crisp stacked diecuts. How clever to place that row of tutus like that. 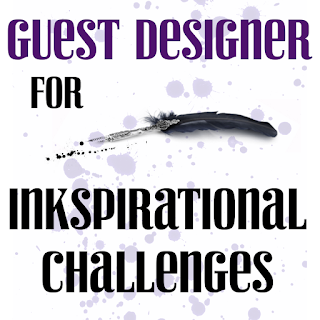 Thank you for being a fabulous Guest Designer at Inkspirational. This is so gorgeous, Karren! I love every element! Those tutus are adorable and that inked background is so perfect! What a wonderful trio of tutus! LOve them in black... kinda Black Swan-ish, right? 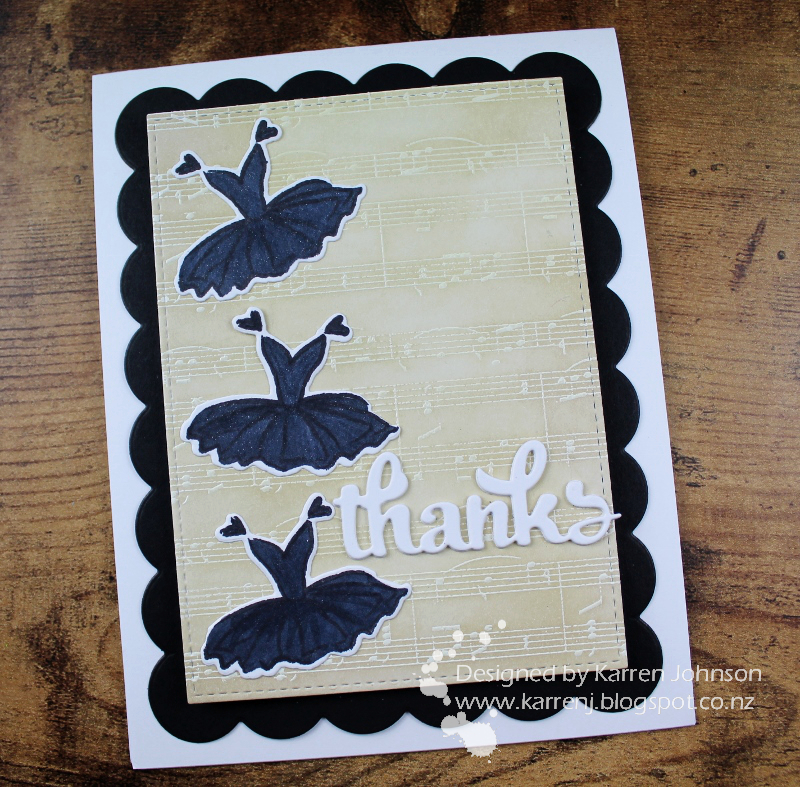 Gorgeous card, Karren... I've never seen that tutu die! Congrats on your well deserved GD spot! 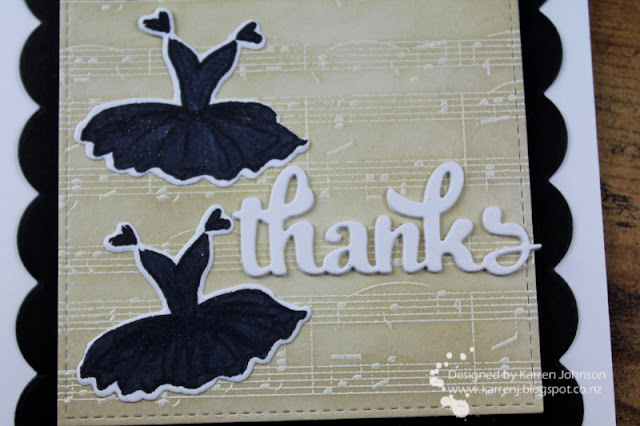 Your tutus are so sweet, Karren! I love your subtle musical notes in the background and the font on your sentiment is just beautiful! What a fantastic card! I love how you created the musical background and the die cut dresses... so cute! Congrats on the DT position. Great having you design with us! 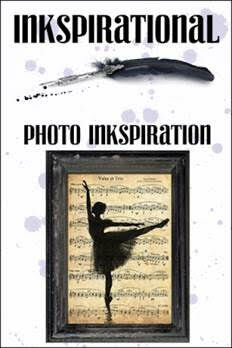 A gorgeous translation of the inspiration image; your tutus are stunning, especially paired with the lovely sheet music background! WOW! 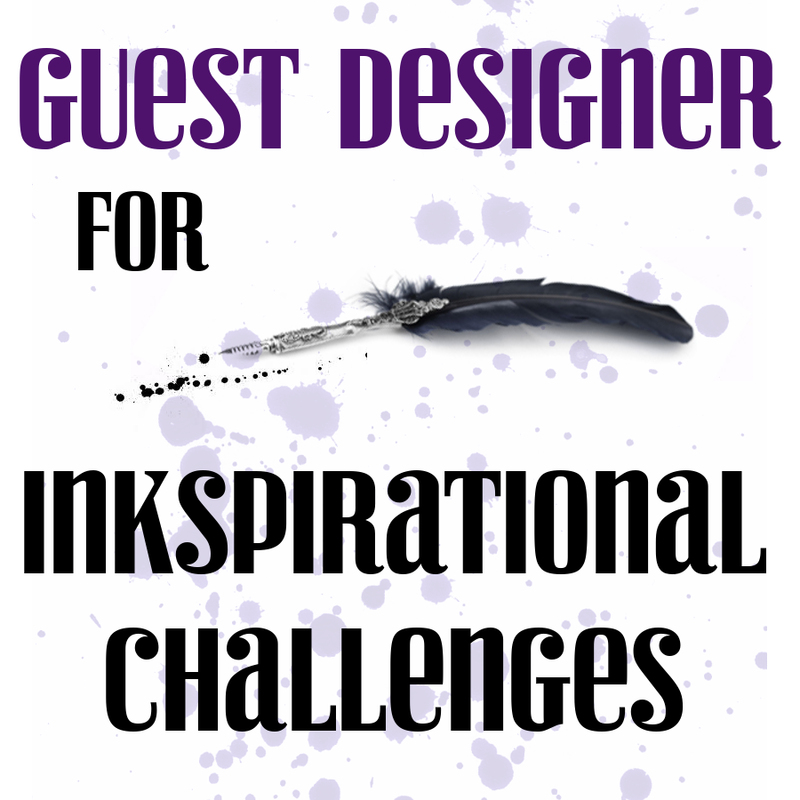 Thrilled that you are our GD for this challenge; thank you for designing a most inspired AND inspiring card!